On June 14, 2018, Huizhou Huinan Science and Technology Park Outstanding Science and Technology Workers Commendation Conference was held in the Management Committee of Huinan Science and Technology Park. 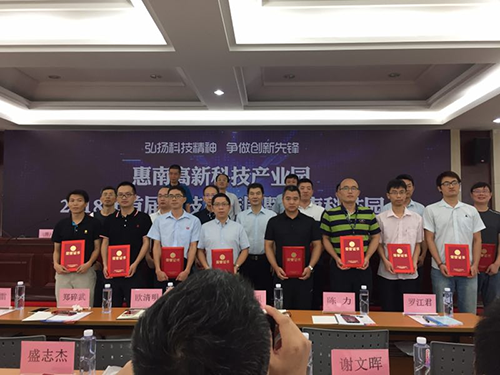 Huizhou Huinan Management Committee Secretary and more than 30 high-tech enterprise scientific and technical personnel participated, among which Huizhou Zhisheng New Electronic Technology Co., Ltd. participated in the meeting and accepted the award. Copyright © Shenzhen Zeasset Electronic Technology Co., Ltd. All rights reserved.